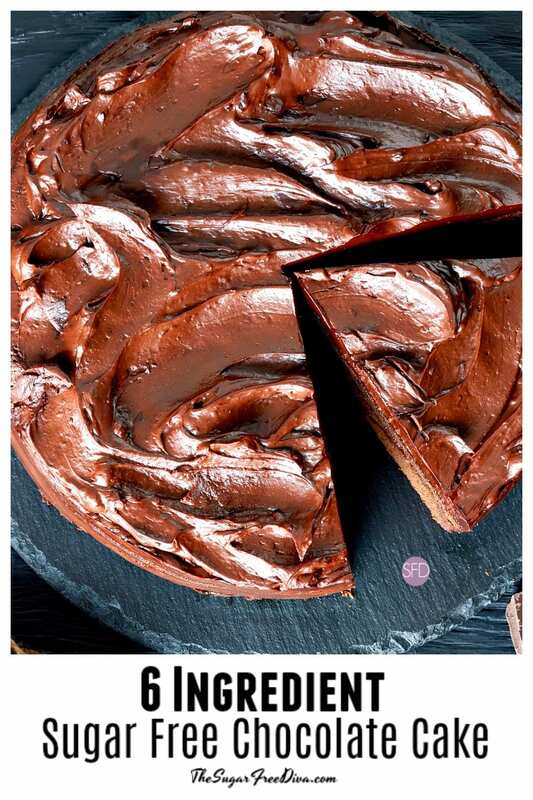 This recipe for a 6 Ingredient Sugar Free Chocolate Cake is an easy one to make. I like that there are only six ingredients in this cake as well. 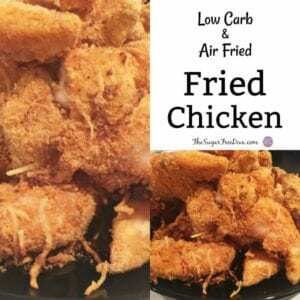 This recipe is especially nice for those of us who like an easy ingredient list. That easy ingredient list would certainly also include me. This cake recipe is really pretty basic. You will find that the ingredients are standard ingredients that you would see in a recipe such as this one. However, this is still a really good tasting chocolate cake when it is baked. 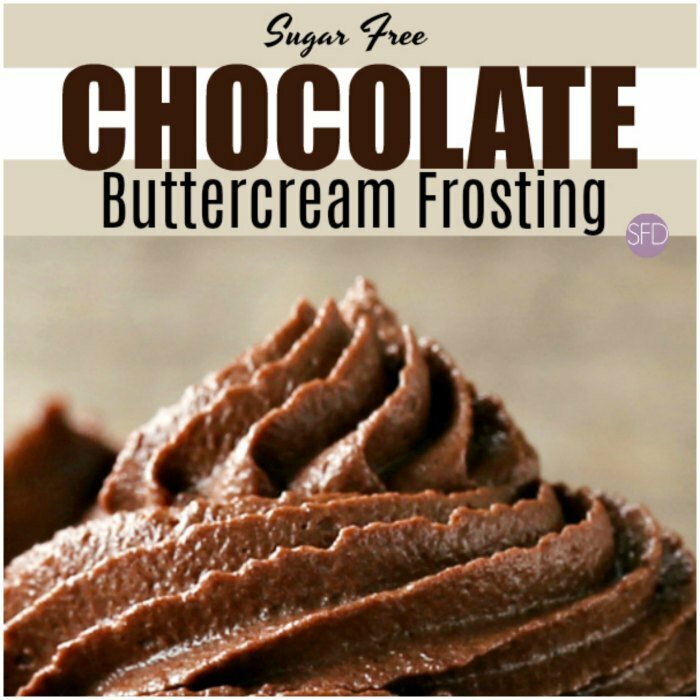 To make this 6 Ingredient Sugar Free Chocolate Cake we will use sugar free chocolate chips rather than unsweetened cocoa. I will explain this use of sugar free chocolate chip use rather than using cocoa. 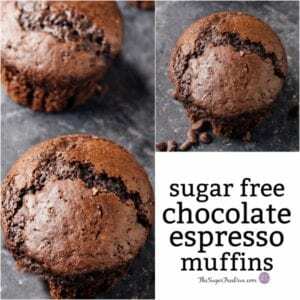 As you may already know, when I post a recipe for chocolate cake, brownies, or similar baked goods, I use unsweetened powdered cocoa much of the time. 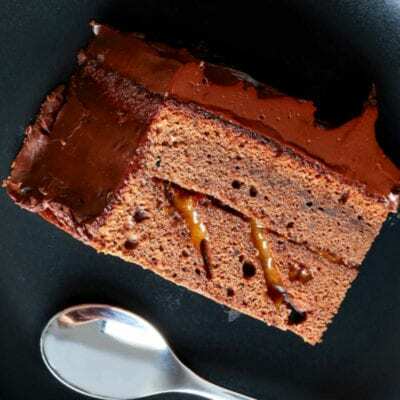 Adding unsweetened powdered cocoa to a recipe offers a cake a rich chocolate taste. Depending on the leavening agent that you use and the kind of unsweetened cocoa powder, the cocoa can also play a role in leavening the cake. However, using chocolate instead with yield us a more moist and more chocolate, as in solid chocolate, kind of taste. When you bite into one and then the other, you can notice the difference. Let me also note at this time that this cake is also unleavened. When you bake an average cake you probably add a leavening agent such as baking powder. This allows the cake to develop air pockets and then rise as a result. That is how we get a big and beautiful cake. However, this cake does not include a leavening agent. There are indeed occasions when you would not want a leavened cake, such as during the holiday of Passover. The air pockets (few as they may seem) that you may get in this cake come from the mixing of the ingredients. As a result, we get a denser cake that has some great tasting chocolate in it as well. As mentioned, you will need sugar free chocolate chips. 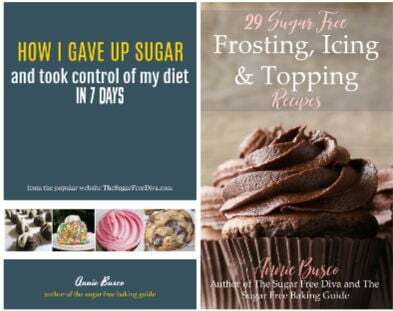 You can easily find sugar free chocolate chips online. I suggest using the semisweet variety of chocolate chips. If you decide to use a dark chocolate chip, you may need to add a bit extra sugar alternative to balance out the bitterness. Also, Sugar Free Chocolate Pound Cake. Sugar Free Brownie Mug Cake. As mentioned, you will need sugar free chocolate chips for this recipe. I suggest using the semisweet variety of chocolate chips. If you decide to use a dark chocolate chip, you may need to add a bit extra sugar alternative to balance out the bitterness. 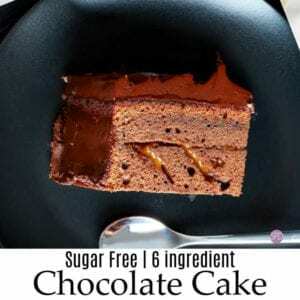 What you will need to make this 6 Ingredient Sugar Free Chocolate Cake. Flour- 3/4 cup, plus additional for dusting. Butter- 1/2 cup plus 3 tablespoons. That is like one stick of butter plus just under another 1/2 stick (1/2 stick is 4 tablespoons). One stick of butter has 8 tablespoons, you want 11 tablespoons. 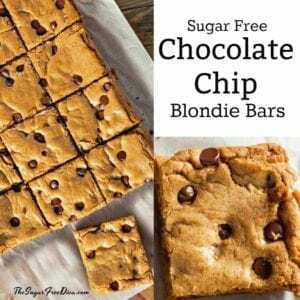 Sugar Free Chocolate Chips – 1 eight ounce bag. Sugar Alternative- Equivalent to 2/3 cup of sugar. Granular alternative that is measured 1:1 with sugar is suggested. 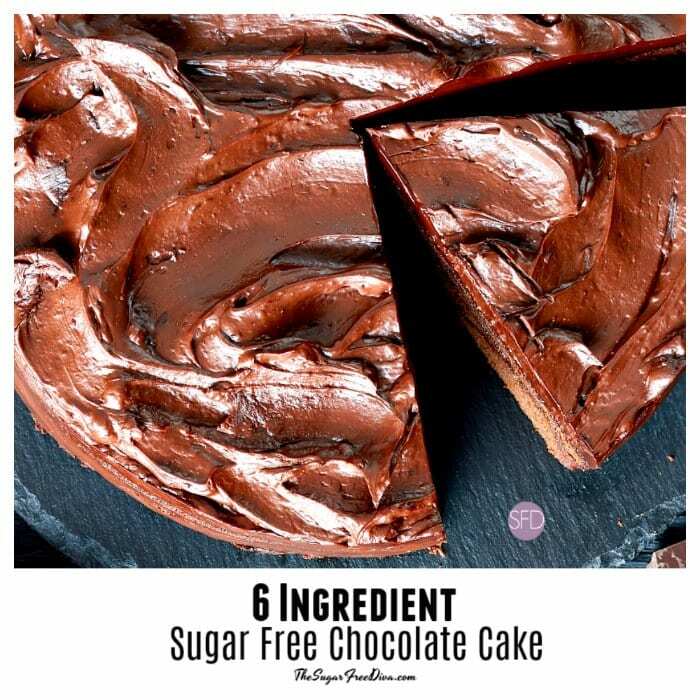 How to make 6 Ingredient Sugar Free Chocolate Cake. Use a 9″ cake or similar pan for this recipe. 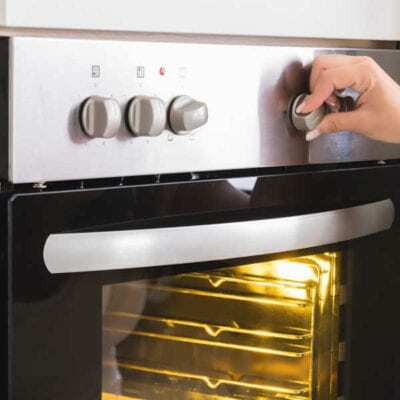 Start by preheating your oven to 325 degrees. This cake bakes best when it is placed in the center of your oven. I suggest rearranging your oven racks if you are able to do so. Also, prep your cake pan well for this cake. Using two methods works best. For example, using a nonstick spray plus dusting with flour over that spray. Using the stove top method for melting, place a saucepan on your stove set to medium heat. Melt your butter until it is melted and just about to bubble. Then remove the saucepan from the heat and stir in the chocolate chips. Alternatively, you can use a microwave safe bowl and melt your butter in that. Stir in your chocolate chips. If they are unable to melt, place the mixture into the microwave in 15 second intervals, stirring after each, until melted. 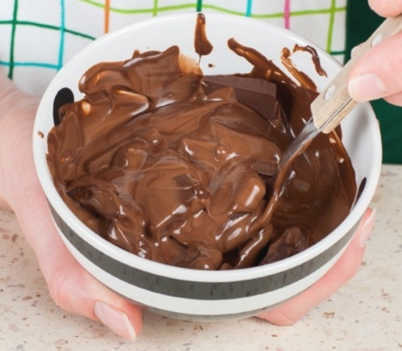 By the end of this step, your chocolate should be smooth and melted. Now, in a mixing bowl, blend together the eggs and sugar alternative. Then stir in the flour. Once this is blended, you can add the melted chocolate and stir until gently combined. Bake your cake for 20-25 minutes. If your cake seems like it is baking too quickly, you can bump down the heat to 300 for the last five minutes of baking. Allow this cake to cool. Here are some frosting ideas that may go well with this cake. Also, Sugar Free Buttercream Frosting. A delicious sugar free unleavened dessert cake recipe does not get much easier than this one. This is how to make 6 Ingredient Sugar Free Chocolate Cake. Now, in a mixing bowl, blend together the eggs and sugar alternative. Then stir in the flour. Once this is blended, you can add the melted chocolate and stir until gently combined. Bake your cake for 20-25 minutes. If your cake seems like it is baking too quickly, you can bump down the heat to 300 for the last five minutes of baking. Allow this cake to cool. Also, Use a 9" cake or similar pan for this recipe. This is an unleavened cake recipe that is denser than your average chocolate cake recipe. Please see post for details.